Mail Fraud Allegations Defense - Oberheiden, P.C. When facing potential charges under the federal health care fraud statute (18 U.S.C. Section 1347), the False Claims Act, the Anti-Kickback Statute, the Stark Law, or any of the other various statutes that federal prosecutors use to target health care providers, it is common to face charges under 18 U.S.C. section 1341 as well. This is the federal “mail fraud” statute; and, under the statute’s broad language, most health care-related offenses will also involve some element of mail fraud. With severe penalties (on top of those for health care fraud or any other underlying substantive offense), facing mail fraud charges is an extremely serious matter, and one that requires skilled, knowledgeable, and aggressive legal representation. 18 U.S.C. Section 1341 is potentially applicable in all cases of alleged fraud. This includes not only cases of successful fraud (i.e., overbilling Medicare, Tricare, or a private insurer), but also cases involving conspiracy and attempt to commit health care fraud. Health care fraud is broadly defined in the federal health care fraud statute, 18 U.S.C. Section 1347, and federal prosecutors will frequently pursue fraud charges under other health-care-specific and non-health-care-specific laws as well. While commonly referred to as the “mail fraud” statute, 18 U.S.C. 1341 applies to the use of any method of physical delivery (electronic delivery is addressed separately in the federal wire fraud statute, 18 U.S.C. Section 1343). As a result, use of the United States Postal Service, Federal Express (FedEx), United Parcel Service (UPS), or any other private shipping or courier service can trigger liability under 18 U.S.C. Section 1341. The mail fraud statute applies to all aspects and all stages of attempted and successfully-perpetrated frauds. Sending a communication or materials to a co-conspirator, soliciting patients via mail, and submitting fraudulent documentation to the Centers for Medicare and Medicaid Services (CMS) or another government agency can all lead to charges of mail fraud. 18 U.S.C. Section 1341 applies not only to individuals and organizations that deliver materials using the mail or a private carrier, but also to those that “take or receive” mailed items. 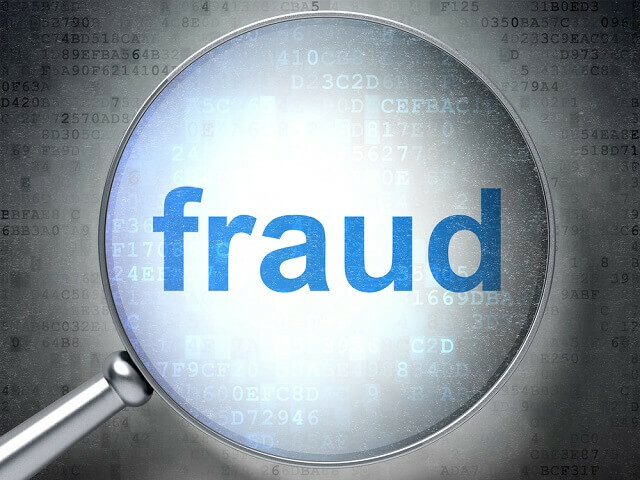 While proof of the requisite mental state (i.e., devising, intending, or attempting to defraud) is still required, simply receiving something in the mail in connection with an apparent fraud can be enough to trigger mail fraud and conspiracy allegations. In order to face charges and sentencing under 18 U.S.C. Section 1341, you do not have to personally be the one to physically deposit an item in the mail or drop of materials for delivery via FedEx or UPS. If someone else drops off a parcel or package for you, you can still be charged with mail fraud under 18 U.S.C. Section 1341. Despite being an “add-on” charge in cases involving other substantive crimes, mail fraud carries severe penalties under 18 U.S.C. Section 1341. A mail fraud conviction can result in up to $250,000 (for individuals) or $500,000 (for organizations) in fines, plus up to 20 years of federal imprisonment. With similar penalties for many health care fraud offenses, facing multiple charges as the result of an investigation can easily result in insurmountable financial penalties and a de facto life sentence. While 18 U.S.C. Section 1341 can create significant exposure for health care providers, there are several potential defenses to mail fraud allegations. One of the strongest defenses in many cases will be the “good faith” defense, or lack of intent to commit fraud. If you can successfully challenge the government’s evidence of intent (which is subjective and often difficult to prove), then not only can you avoid liability for mail fraud, but for most standard substantive health care-related criminal offenses as well. If your health care business or practice is being targeted in a federal investigation or facing allegations of mail fraud, the defense team at Oberheiden, P.C. can execute trial-tested defense strategies to help protect you against the penalties under 18 U.S.C. Section 1341. To discuss your options in a free and confidential consultation, please call (888) 519-4897 or submit your case information online today.